3. 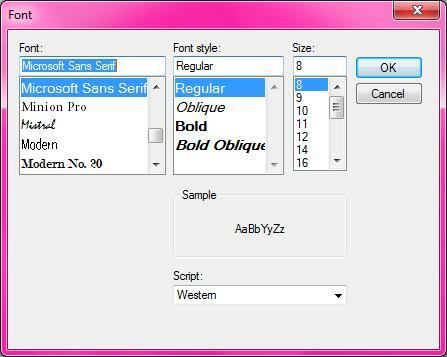 To change the font, font style and size select the Font button on the top right. Another window will pop up where you can select the font on the left, style in the middle and size on the right, and then click OK.
4. To change the text colour, click the ‘text color’ button on the right hand side and another window will pop up where you can select the colour and click OK.
5. 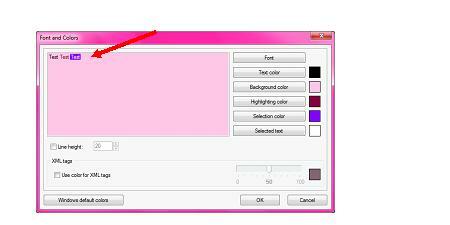 To change the colour of the background for documents, click the ‘background color’ button. 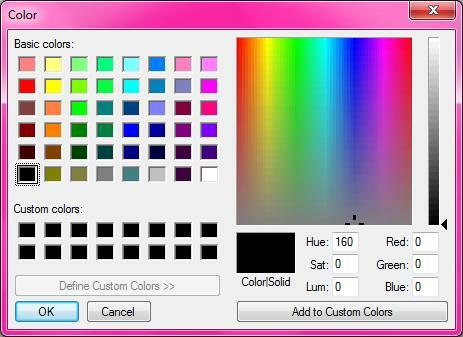 Another window will pop up just like the font colour and you can select the colour and click OK.
6. The ‘highlighting color’ button changes the colour of text that has been read aloud in the same manner as font colour. 7. The ‘selection color’ button changes the background colour of highlighted text and the ‘selected text’ button changes the colour of the text that has been highlighted. 8. 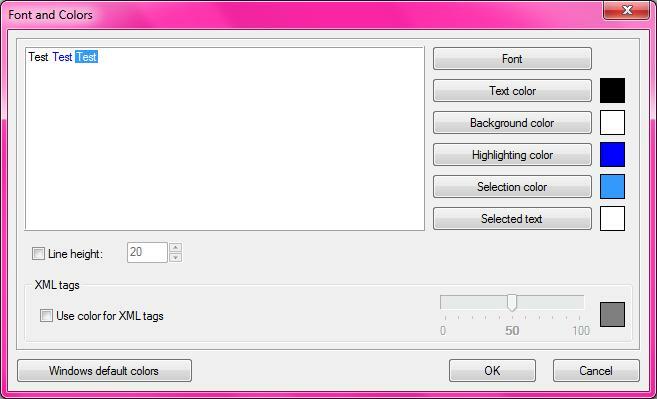 Viewing the test screen on the left hand side of the Fonts and Colours window allows you to check the colours.